Whether you follow the Atkins Diet, the Cabbage Soup Diet, the South Beach Diet or any other weight loss plan, your body will not function at its optimal level if you do not get enough of the essential vitamins and minerals it needs. These micronutrients help to keep our body in balance, and provide crucial support to nerve systems, blood vessels, brain function and more. The following are some of the most important vitamins and minerals that should be included in your diet. Calcium is well known for helping to strengthen our bones. It also helps to maintain healthy teeth. Other functions it performs is to assist with regulating hormones, heartbeat and nerve impulses. Of course, this mineral can be found in milk, but it is also available in many other food sources. Sardines, broccoli, and fortified orange juice are also good bets. 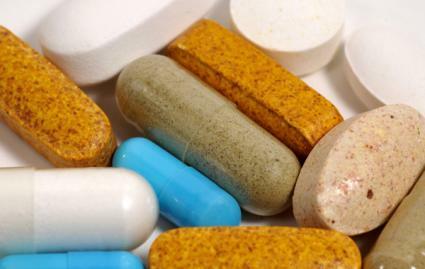 When taking supplements, you will often find calcium and magnesium are combined. These two minerals go hand in hand and should remain in proper balance. Magnesium is important for healthy bone function, nerve function, healthy blood sugar, and a regular heartbeat. It is a critical component of your body's makeup, and is important to many other systems in the body as well. It can be found in nuts (especially almonds), spinach, soy products and wheat bran, in addition to many other foods. It is not difficult to meet your daily requirement for this mineral if you are eating a healthy diet. Vitamin B12 also helps to maintain nerve cells, and is critical for the production of DNA. It can be difficult for vegetarians and vegans to get enough B12, as it is found primarily in animal foods, especially clams! Other foods that contain high amounts include beef, chicken, fish, eggs and milk products. If you are a vegetarian, you will want to consider supplementation. Like many of the other vitamins and minerals, zinc will help you to maintain a healthy immune system and is essential for the proper healing of wounds. Interestingly, it is also responsible for helping your senses of taste and smell stay acute as you age. Oysters contain more zinc than any other food. Zinc can also be found in most meats, legumes, dairy products and whole grains. Vitamin E has been touted as an effective antioxidant. Many studies have been done to determine its effect on cancer rates. So far, the evidence appears to be inconclusive. However, it is known that it helps the immune system function properly. To keep in top form, vitamin E should be a part of your diet. Almonds are an excellent source of vitamin E, and with almonds, you get the added bonus of magnesium. Vitamin E can also be found in green vegetables, which is one more reason to eat your greens! Your body will thank you for following a balanced high fiber diet and providing it with the nutrients that it needs, and of course, you will also want to take a multi-vitamin to cover all of the bases! However it is important to exercise caution when purchasing supplements, as their potency can vary widely. If you decide to supplement your diet with vitamins and minerals, it is a good idea to consult with a professional to determine which brands are the most effective, and which dose is right for your body's needs.